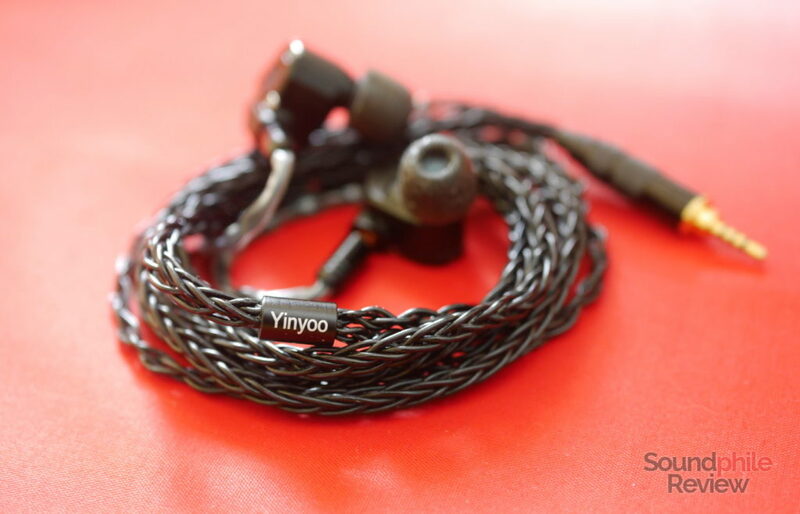 The Yinyoo 8-core SPC cable is a well-made, soft yet robust cable to be used with IEMs. It was originally intended to be compatible with the Yinyoo H3 and H5 in-ear headphones, but it comes in a variety of configurations that make it compatible with practically any IEM with removable cable. 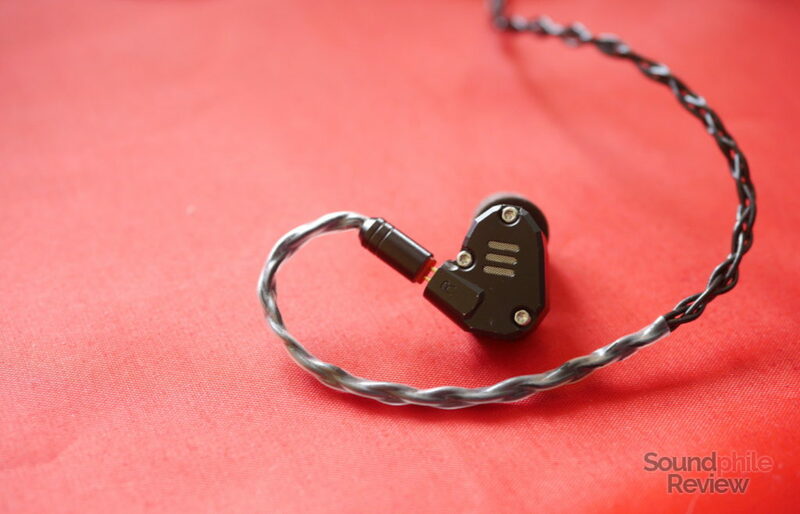 There are both 2-pin and MMCX connectors on the earpiece side and 2.5 mm, 3.5 mm (single-ended only) and 4.4 mm jacks on the other. Disclaimer: I got this unit in exchange for a review from AK Audio. They sell it on their AliExpress store. You can get a 10% discount using the “SoundphileReview” code in the checkout process. The cable comes in a simple bubble wrap with a warranty leaflet – nothing fancy to be found here. 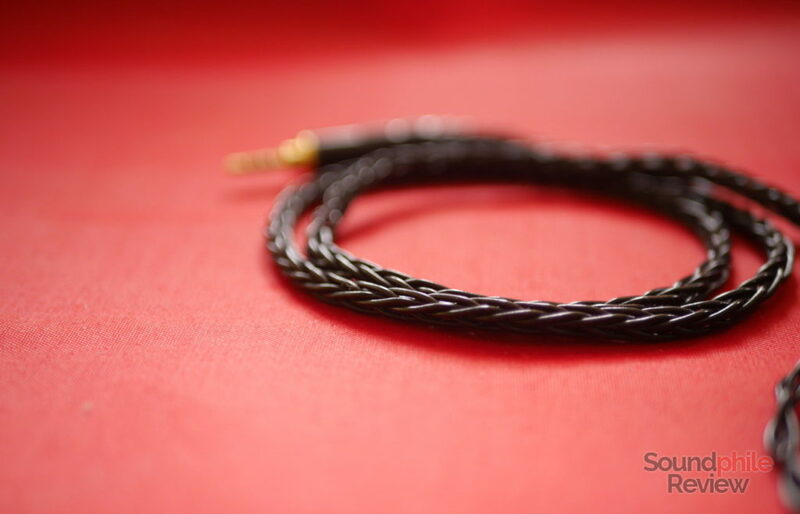 The Yinyoo 8-core SPC cable is relatively large and heavy (21 g) when compared to most cables that come with IEMs – it surely is larger and heavier than the AK Audio 4-core 7N copper cable I reviewed a few months ago. The cable uses 4 cores per channel, so the section up to the Y-split is actually made of 8 cores. It is all black – the cable itself and all of the (metal) connectors are painted in glossy black. If I were to judge it by its appearance alone, it would earn a solid recommendation – it is aesthetically pleasing, however subjective this may be. It returns an impression of good quality and durability. This impression is further confirmed when used and touched: it certainly appears as a good quality, resistant cable. Despite its use of a large number of cores and its subsequent large size, the Yinyoo 8-core SPC cable is really soft and malleable. This comes a bit as a surprise, as I expected it to be much stiffer – I guess this softness is due to the use of soft plastic for the sleeve. In order for it to keep the desired shape around the ears, there is a section of harder transparent plastic in the last ~8 cm before the 2-pin or MMCX connector. This is especially helpful as it helps the cable stay in place behind the pinnae. This softness comes with some unwanted side effects, though: despite its pleasantness to touch, it can bend in unwanted ways if you use it with a DAP tucked in a pocket. This softness also has an impact on comfort, as it tends to just give in to gravity and weigh on the ears, while stiffer cables can somehow better sustain themselves. I received a version with 2.5 mm TRRS jack on one side and two 0.75 pins on the other, but there are also versions with 3.5 mm (single-ended) and 4.4 mm jacks and MMCX connectors on sale. A sure improvement on all models would be the addition of a small spring or other mean to keep the cable from bending excessively near the jack – something that, alas, happens quite often in the aforementioned “DAP in a pocket” scenario. This can be easily fixed with a bit of tape, but it would obviously be better if Yinyoo fixed it themselves. Alas there’s no chin slider, nor is it possible to use normal clips due to the large footprint of the cable. It is possible to use workarounds such as only using 2 cores in the clip, but this does not feel much safe to me – leaving two cores to handle all the pressure does not seem the wisest choice to me. That’s a bit of a shame that classic cable clips are not compatible with the cable, because they would help with its comfort. Due to its relatively heavy weight, the Yinyoo 8-core SPC cable is less comfortable than thinner cables, especially when used on the go. If used at a desk, or in any other situation where most of its weight can rest on a surface and not weigh on the pinnae, it then does not make much difference. I could keep the cable on for about an hour before I felt the need for some rest. Microphonics is present, but barely noticeable. Using a compatible clip should make the issue disappear altogether, if my experience with other cables is of any indication. 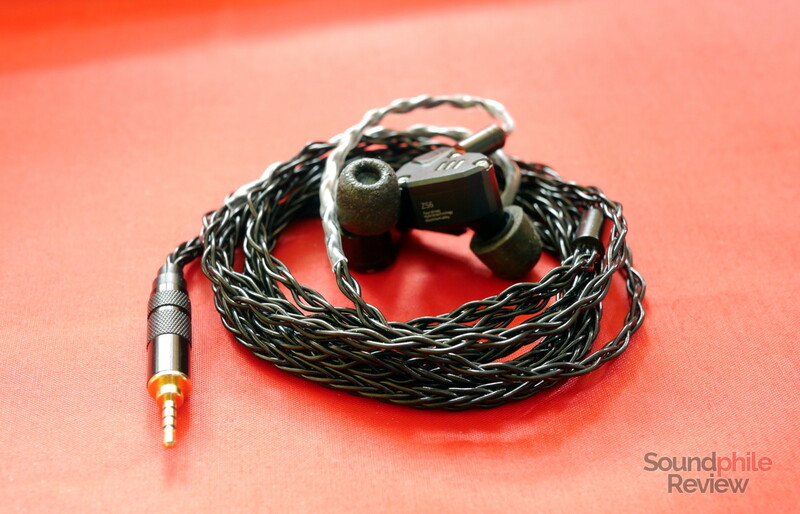 I tested a variety of in-ear headphones using the Yinyoo 8-core SPC cable: the KZ ZS6, the KZ ZSR, the TRN V10, the Venture Electronics Monk IE Smalls and the KZ ZS3. As always, I refuse to make any claims regarding how cables affect sound when I can’t hear clear differences – and in this case I can’t. I leave it up to you whether to believe in the influence of cables over sound. It could make a difference with extremely sensitive in-ear headphones, but I haven’t been able to confirm this myself and this is why I won’t make any claim on this matter. As far as I am concerned, this cable is fine for all the other reasons – build quality, softness, decent comfort – and I don’t need any additional claim regarding sound to recommend it. The market for replacement cables is ever-growing and it seems to meet high demand. Since cables are most important when it comes to comfort and reducing (or eliminating) microphonics, it may be worth considering a replacement cable if any of these aspects interests you. This is especially true with lower-tiered headphones whose cables are flimsy and not really durable (e.g. cables that come with KZ earphones). Of course this is just my opinion on the matter and I invite you to write a comment should you have a different opinion. The Yinyoo 8-core SPC cable is well-built and seems to be durable and comfortable enough to justify the expense, especially given the fact the price is lower than $40 and is therefore in the “affordable” territory. This is a solid product that is worth considering if you want to step up your cable game – whatever reason you think is possibly right to do that. AK Audio sells the Yinyoo 8-core SPC cable at ~$35.